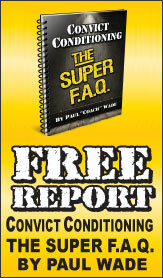 I had been a personal trainer for 18months when i started training with Matt. This signified the start of the the most productive period of training and professional development I have ever undertaken. Matt is a shining of example of what a personal trainer should be, full of knowledge with the ability to implement it. He is honest and forthright with his thoughts and judgements and places the onus on you to continually do the right things to keep the goal the goal. I have learnt more from training with Matt these past 7 months then I could have possibly dreamt of, and my skills as a personal trainer have developed accordingly. Oh yeah and after the training programs Matt put me thorough, the "grueling" 3 day RKC certification was a walk in the park. My mobility strength and specific conditioning were the best they have ever been and I was even able to hit a few PRs over there. To anyone seeking to improve their Fitness Matt is one of the few trainers in Adelaide that I would recommend. To all new personal trainers in the industry I highly recommend training with Matt to learn what a good personal trainer is. 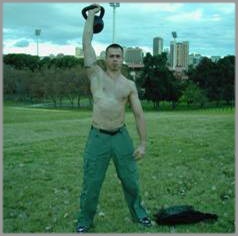 I initially consulted Matt to ensure that I had the correct kettlebell form, as I live in the country and train myself. He has challenged me from the first session to "get out of my comfort zone", "realise my potential" and occasionally "stop overthinking and just do it". I really appreciate that he will often rearrange his schedule to accommodate my restricted time in the city, and always responds to my (many) emails full of questions. Matt is passionate about getting the best from his clients, and giving us the best that kettlebells offer. Matt is a awsome trainer, he had me swinging with perfect technique in no time after I had never even heard of a kettlebell. Excellent trainer, all trainers should aspire to be as well educated, knowledgefull, and skillfull as Matt.